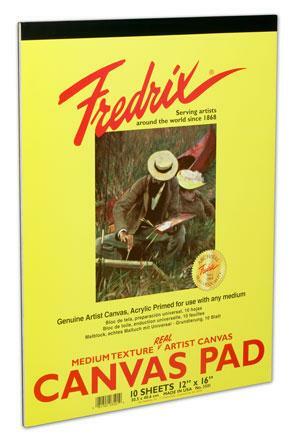 Fredrix Canvas Pads contain genuine artist canvas, primed and ready for use with any medium. Canvas sheets are sturdy enough to be mounted when dry. each pad contains 10 sheets. Available in white and black.